What is considered low,medium,high hours used on a compact tractor? Is there a rule of thumb. I have no clue. Figure 100 hours per year, on average, for any tractor previously owned by an individual homeowner. Any tractor that's only two years old, with 1000 hours on it, or more, is one that was likely owned by business. 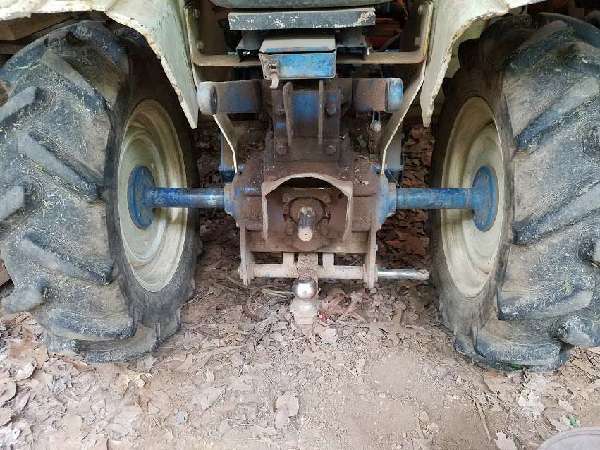 A tractor that was once owned by a rental business is one to stay away from, as those who rent tractors usually have no idea what they're doing, and they abuse those tractors to death. The local rental company has a tractor that has more welds on it, than parts. A diesel engine, used for agriculture purposes, is good for about 5000 hours between major overhauls. This does not mean that every engine will last 5000 hours, but that's about the average in the agriculture industry. Ag tractors operate in dirt, rain, snow, mud, sand, etc. This reduces the life expectancy of the engine, over any stationary diesel engine operating in a controlled environment. With good maintenance, a diesel engine should last 5000 hours .... or about 50 years when in the hands of the average homeowner. If you're looking at a tractor with 800 hours on it, you can figure that it has about 42 years of life left in it. I hope this helps........but please remember that this information is based on the overall agriculture market, and that not all tractors are either created or treated equally. I agree with Joel. For comparison, my delar told me that 600 ghours on things such as consruction equipment--skid steers in particluar, that 600 gours per year is the industry standard. And if you think about it pertaining to anything mechanical: if more hours are given to actual in-service use, then it is likely that many less are given to repairs and critical maintenance like a simple oil change. The hour-meter can be set up in three ways. In some machines it turns whenever the key or ignition is on, even if the motor is not running. In many, it clocks the actual engine-run time. In some (including Yanmars) it turns at "real time" only when the engine is turning at full working speed, and proportionately slower when the engine is slower, so if it idles for an hour the clock will add about 20'. In modern cars it's become hard to re-set the odometer. I don't know how easy it is to reset the hour meter on industrial equipment, but with many of the tractors that are imported used, it's re-set to zero to help the implication that it's been (so-called) "factory reconditioned." Given the long design-life of commercial equipment, the surest use for the hour reading is for maintenance. When shopping, the hour meter difference talked about is between strickly an hour meter and one engine driven. The engine driven is using the engine PTO's rated speed for a reference. When you operate the tractor at the PTO speed you will gain an hour per hour, as stated at half throttle you will only gain 1/2 an hour. The hour meter will click off an hour even if your in your cab taking a nap listening to your stereo! This kind with the ag tractors we found to add about 1/3 more hours then the other! Don't buy something that was run just a little! By that I mean that the tractor wasn't run long enough to bring the operating temperature up of the engine. This could give you engine trouble. We have a customer that lives in our area that while appraising his tractor for trade in I noticed that he had several boxes that had like new hour meters in them! His tractors were very clean and late model, but he also would drop in a new meter the last year he owned them to make them look like they only had a couple of hundred hours on them! So far I haven't been able to sell him any tractors! By any measure my MF135D (Perkins A152 D engine) has high hours - 6770+ - but it starts very easily, runs fine with strong power, and burns no oil. It has not been rebuilt and it looks good, too. Obviously care and proper treatment matter, but solid engineering and build quality matter as well. Yes, this is an old tractor, but it is robust and reliable. When judging a tractor, try to look as carefully as possible at its service history, and look just as carefully at who operated it, and how they did so. In other words, don't fear high hours on a proper machine. You could buy junk with 500 hours on it. What I'm saying is hard to accomplish, but worth the effort. I have owned this tractor for 20 years. I'll croak before it does. Jerome; One of our old neighbors had a 135 diesel with a lot of hours, I don't remember how many, but he started it everyday year round to feed cattle. When they would go on a winter holiday I used to do his chores and I always marvled at how well that little tractor would start no matter how cold it was, he always kept it plugged in during the winter, but I don't remember using any starting fluid. Frank. Hi Frank, There is a block heater on my 135 and it helps, I'm sure. I bought some starting fluid once, but never needed it. The most costly expense I've had with this tractor was a torn rear tire. Recently I considered getting a new 4x4 machine (I do a lot of work in the woods and got heroically stuck recently), but I believe I'll stick with the old machine. Why give up a good thing? Maybe a set of chains will do. . .